DONETSK (Sputnik) — Zakharchenko dismissed Ukrainian media reports that the self-proclaimed people's republic of Donetsk aims to hold a referendum on joining Russia. "There will be no referendum. We will have elections. If there is a need to conduct a referendum, I will personally inform you," Zakharchenko told RIA Novosti. "Ukrainian media spread the information claiming that instead of elections we are going to hold a referendum," he said. Donetsk and Lugansk self-proclaimed republics decided to hold separate elections of mayors and district governors on October 18 and November 1 respectively. The rest of Ukraine is set to vote in local elections on October 25. Following Crimea's reunification with Russia, Kiev launched a military offensive in Donbass against local independence supporters who had refused to recognize a coup-imposed government, which had come to power in February 2014. 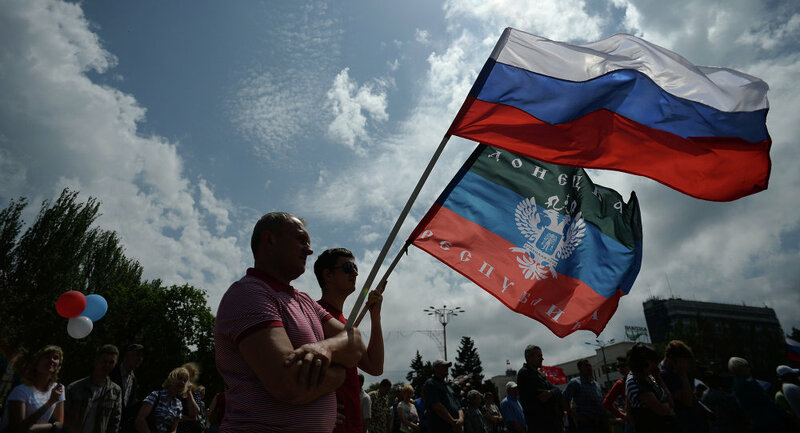 What is DPR (Donetsk People’s Republic)?